I consider myself to be a very versatile massage therapist, with a wide range of techniques. From light Swedish relaxation massage to deep tissue sports massage therapy. I have worked with clients from all walks of life. Whether it be a stay at home mom with everyday aches and pains from taking care of a family or professional athletes who push their bodies to the limit every time they perform. 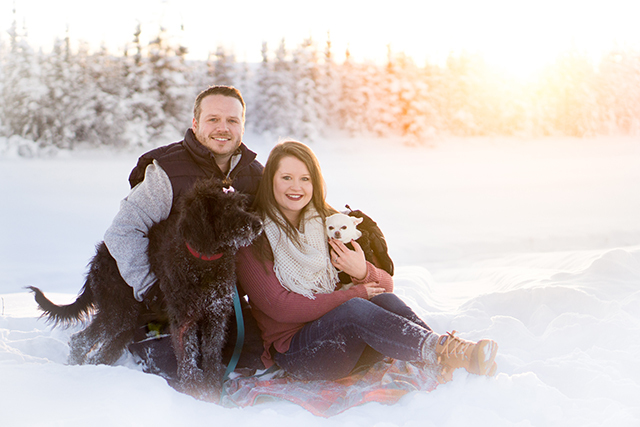 Born and raised in Spartanburg, South Carolina, I moved to Alaska with my husband Ryan and our eight-year-old chihuahua Daisy in January of 2017 for a business opportunity. Since then we have expanded our family adopting a Labradoodle puppy named Winnie. I have a passion for healing. I use techniques and knowledge which allow my clients to feel and see the benefits of massage and bodywork. I am well versed in prenatal massage, sports massage, neuromuscular, and orthopedic massage. I graduated at the top of my class in 2012, with a 4.0 GPA, from the Therapeutic Massage Program at Spartanburg Community College in my hometown. After being in Fairbanks for exactly one year, with the support of my colleagues, family, and loyal clients, I decided to open my own business. I am excited to start this new chapter in my career and looking forward to serving the Fairbanks community. The Good Hurt Therapeutic Massage is located in Fairbanks, Alaska.